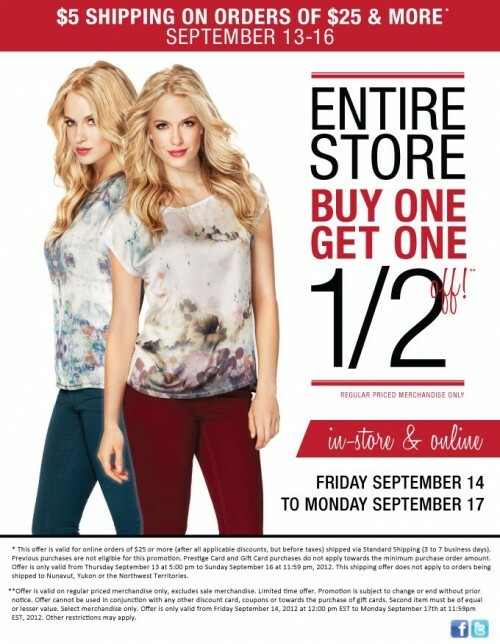 September 14th-17th at Suzy Shier Canada, both in store and online, all items are buy one get one 50% off. Also, shipping is $5 on orders of $25 or more until September 16th. Click here to shop Suzy Shier Canada online.